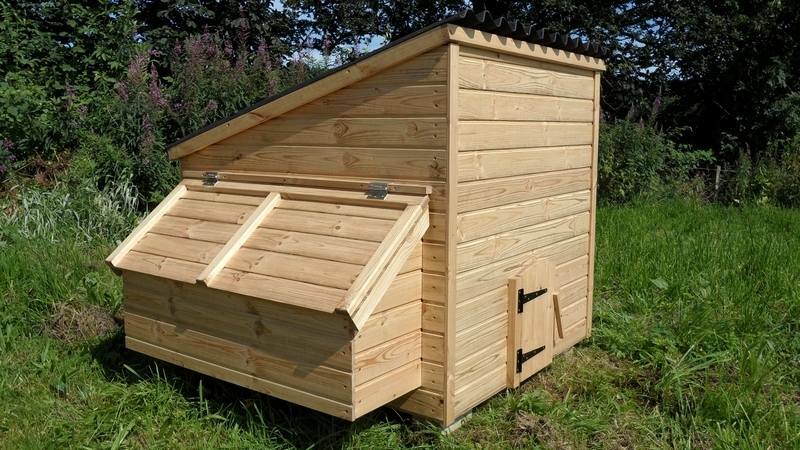 Hand made British Chicken House using high quality Redwood and Grade 'A' T&G. Professionally constructed, sanded and treated. No Cracks or Scratches! Joints are glued and screwed. No staples or Nails! Ventilation is provided under the eaves to ensure good airflow, but limit drafts. 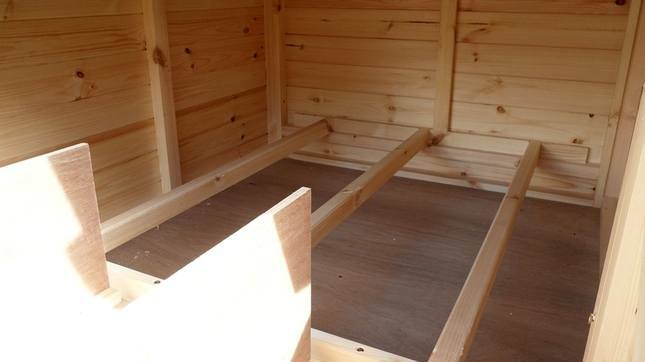 Nestbox lids are double lined and silicon sealed to ensure there completely waterproof. 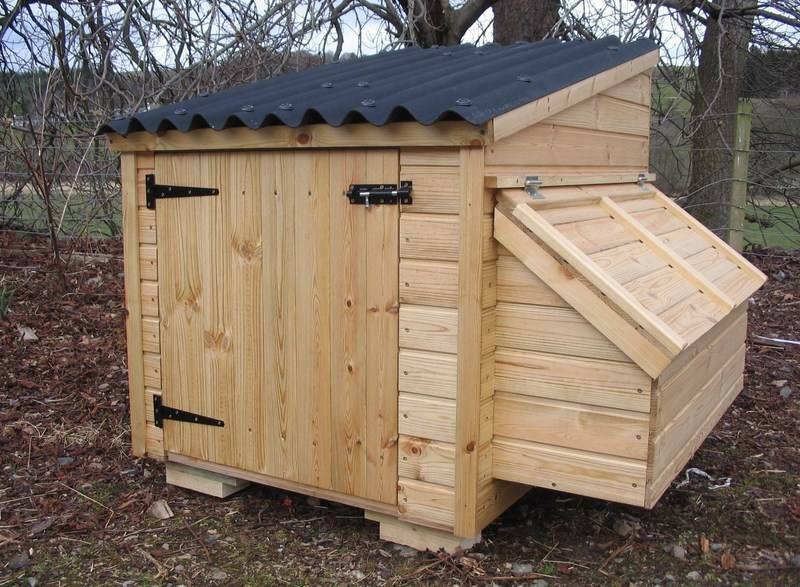 Will be Delivered Ready built so no messing around with Flat Packs. Please also take a look at the additional Extras below, all are suitable for either size. 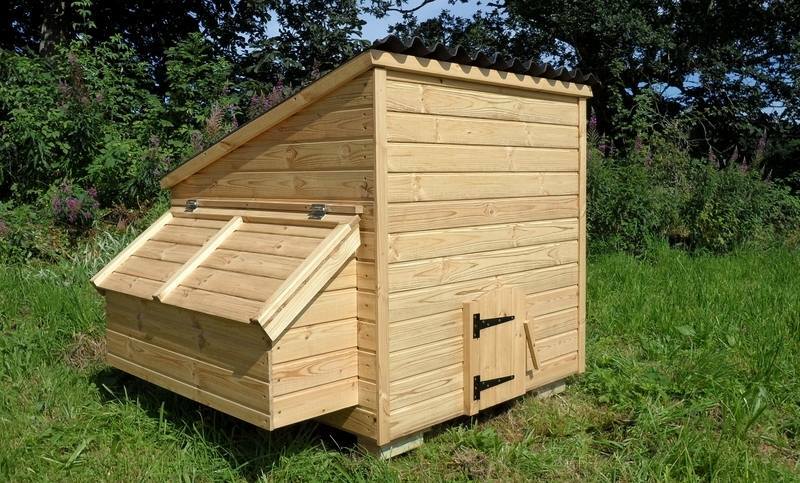 These can be added to your order enabling you to have a Chicken house to suit your needs. Postage on all Extra items is Free when included with your coop.